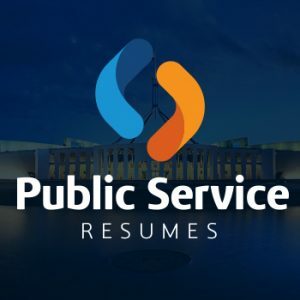 Welcome to Public Service Resumes, the home of Government Selection Criteria & Resume writers for Federal, State and Local level Public Sector job applications. Public Service Resumes offer an invaluable service when it comes to completing your Selection Criteria, Resume, Cover Letter or LinkedIn Profile, when you require we also provide Interview Skills or Career Development Coaching. Public Service Resumes line up of professional writers, coaches and staff have extensive exposure to Government application and recruitment processes, which includes, working on Selection Panels and Interview Panels, working within Human Resource Departments, as well as undertaking Senior Executive roles. If you are looking for professional documents that are completed by industry qualified and experienced Government Selection Criteria & Resume writers with a proven success rate, then the team at Public Services Resumes are on standby and waiting to help! Public Service Resumes take the stress out of writing the professional-level documents that are required for Government job applications. We accurately link your skills and experience to the positions that you are applying for as well as understand the significance of a professional eye-catching document that will make you “stand out from the crowd” and give you an edge over your competitors. Public Service Resumes offer high-quality services for candidates at every stage of their Public Sector career. From Graduates or Trainees, to Senior Executive Management positions – Public Service Resumes Government Selection Criteria & Resume Writers have you covered! When it comes time to complete your Government application, you must make the desired impact and leave the Selection Panel with no questions in their mind as to who the most suitable candidate will be. Public Service Resumes line-up of qualified and dedicated Government Selection Criteria & Resume Writers, Coaches, Trainers, Editors and Designers, pride themselves and thrive in completing unsurpassed, high quality and professional documents and services that get you the results you are looking for. Public Service Resumes specialise in completing Resume, Cover Letter, Key Selection Criteria, LinkedIn Profile writing and Interview Skills or Career Development Coaching. 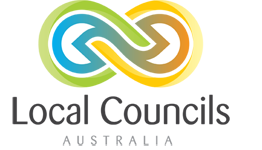 The Public Service Resumes team operate Australia wide, specialising in Federal, State and local Council Government applications. Public Service Resumes has a team of professional Government Selection Criteria & Resume writers waiting on standby to help you today with your Government application needs. All Public Service Resumes documents are provided to you in an editable document upon delivery and is inclusive of a 45 Day Review and Feedback period, in addition to a 100% Customer Satisfaction Guarantee! Contact one of our friendly and trained customer service consultants now for obligation free assistance, advice or a quote. Public Service Resumes operate seven days a week including outside business hours and Public Holidays. I recently engaged Public Service Resumes to assist with drafting a covering letter and resume. I was quickly contacted by Beejay and then experienced prompt and, what I consider, very good quality assistance from Ashleigh. Very impressed with my overall experience and recommend their services accordingly. Exceptional service and communication. Was very happy with the documents. Worth every cent. PSR were very friendly and very helpful. I received my statement with in the required time frame and it didn't need and editing. With the little information I gave them they produce an excellent document. Very Happy. You have seen the rest now come to the BEST !!!!!! Public service resumes truly is the best in there industry. After dealing with numerous other agency I found public service resumes EXCEPTIONAL!!!! From the very start dealing with Beejay who by far is fantastic at what he does .. thank you Beejay for all your assistance you have gone way and beyond in assuring that I was deliverered with exceptional material . Melanie is wonderful and from the very start the rapport I had with her was great .... Thankyou Melanie for all your assistance you are great at what you do. I’m very appreciative to both you and Beejay for all your hard work and in assuring I have the best possible material. Hi Beejay, I just wanted to thank you and the team for assisting me. The whole process has been a great experience. I am hugely thankful to Eva, who listened and understood me. Once again, thanks a lot. I have been able to secure a position at State Government Graduate Program SA. It wouldn't have been possible without your company's kind help and assistance. The quality of writing and explanation about my experience and education in the CV and cover letter helped me a lot to explain and answer the interview questions. The way everything is explained as well as the selection of professional words is exceptional. I wouldn't imagine myself writing a highly professional CV and Cover Letter even after years of experience in the professional industry. Absolutely brilliant! I got the job after an hour session with Tina, she was fantastic the way she clearly simply laid out a structure for me, highly recommend! Execellent Service, Great People to deal with !! great service! Quality of the work! Great job! Professional, prompt, amazing follow up service. This team is fantastic. If you are at a loss for words or like me struggle to “sell” yourself this is the place for you. Great value for money. Great final product. Absolute professionals who work assiduously to deliver a quality product. My teacher resume was written in just three days, to a very high standard, and delivered to my inbox within the agreed time frame: no issues or dramas. Will definitely use again. Thank you to Beejay and Haylee on an exceptional job! Highly recommend pubic service resumes. Very easy to deal with. Beejay has been wonderful in explaining the entire process and my writer Melanie did an amazing job. Melanie was very easy to talk to and she also picked on an error with my resume which I had never paid attention to. Thanks Melanie for all your help. I wish I had known about them earlier, I would have saved a lot more money. Professional, excellent services, great results. Would definitely recommend them to friends. Very happy with the service, awesome team you guys have. I ended up getting the job! I cannot speak highly enough about the service I received and I would like to give a big thank you to my writer Georgia. Thanks Public Service Resumes keep up the good work! Public Service Resumes provided me with an extremely prompt service of high quality at a competitive price, proving that it IS possible to have all three qualities together! Hayley wrote an excellent set of responses to my education selection criteria. A thorough, clear and professional service. Thank you Beejay, Ashleigh and the whole team! I had great experience with Public Service Resumes. The teams are professional and custom service is very responsive and on time. The product I received is top quality and tailored to my personal situation. Well done! Public service resumes were so professional and responsive. I was so impressed with the final product and engagement with me throughout the process. Thank you Public Service Resumes for your help with my selection criteria, I can't believe how good it looks and how good it makes me sound, I would hire me!